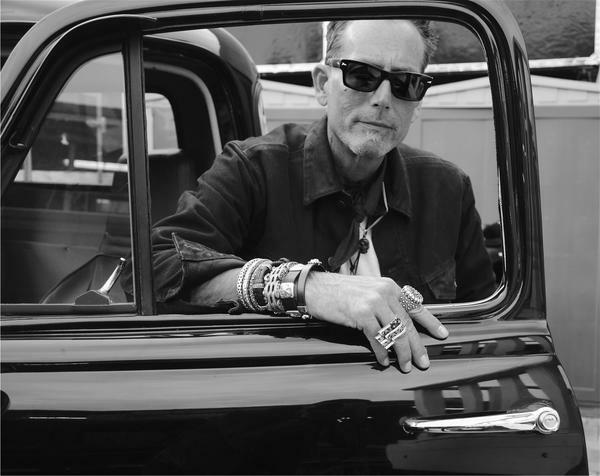 Buffalo Concho Cuff Links made by jewelry designer King Baby. 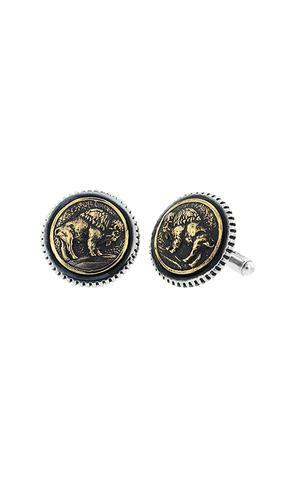 This striking pair of sterling silver cufflinks feature a fabulous gold alloy buffalo. The cufflinks measure 7/8″ of an inch around.